Yet another band ticked off the musical bucket list - artists to see before *they* die. Roxy Music was part of my college soundtrack: "For Your Pleasure" and "Stranded"; then solo "These Foolish Things" and "Another Time, Another Place". Clearly Roxy Music are unlikely to reform but it was a safe bet that Bryan's set would include some Roxy tracks. So glad they added this extra date so we could get to see him. We had a champagne picnic in the grounds beforehand. As always, I love this place. As concert venues go a five centuries old royal palace ain't bad. The band were wonderful, the backing singers were excellent but the sax player was superb, she rightfully feature heavily in many of the songs. It made me appreciate how much the saxophone was a key component of the Roxy Music sound. Listening to Bryan sing Do The Strand I twigged that the lyrics mention Quaglino's where we have dined several times. Of course back in 1973 it meant nothing. Now the penny drops. http://www.quaglinos-restaurant.co.uk. 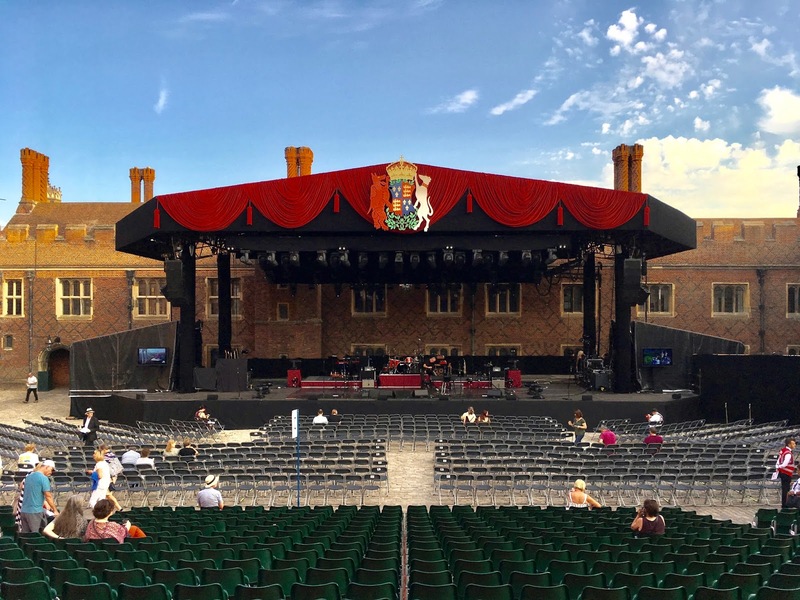 "An elegant evening of music under the stars - with more than a dash of style - to celebrate the 25th Hampton Court Palace Festival." Couldn't have put it better myself.